Resside Apartment is a tidy accommodation option located in close vicinity of Suvarna Mahostava Udhyanavana Park. 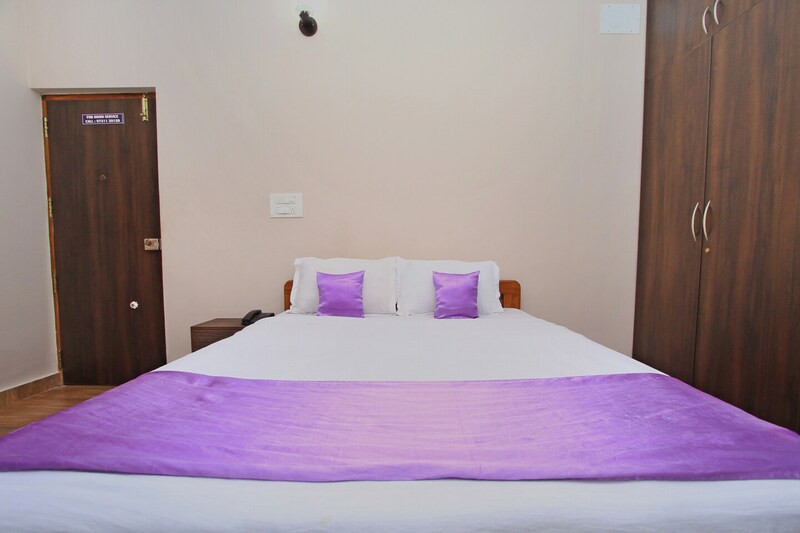 The hotel is located extremely close to Nirmala Convent Bus Stop. The rooms are well-equipped with day-to-day essentials like a king-sized bed, television, air conditioner, a mini refrigerator, geyser etc. The cleanliness of the room and washroom is strictly taken care of on a regular basis. The hotel provides free Wi-Fi provision, parking facility, power backup as well as card payment facility for the convenience of the guests. The rooms feature basic furnishings and are not overloaded with extras keeping them simple yet useful.